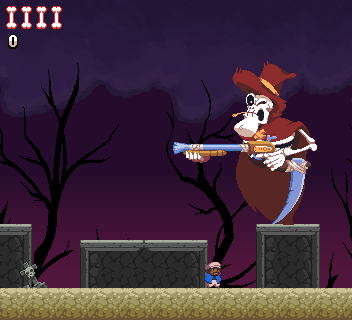 You've got a boomerang and you fight skeletons. 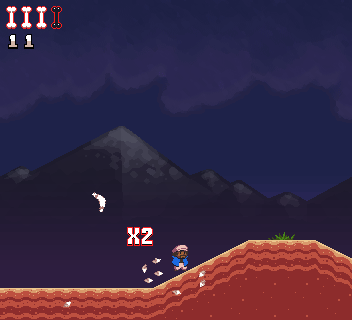 You can rack up a high score by getting combos (defeating multiple enemies in a single boomerang throw), and get upgrades. 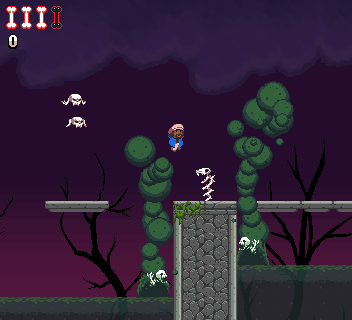 This latest demo features new physics, new sound effects, an options menu, and new music. DimWiddy and fjant felix provide some placeholder tracks, while +TEK provides some new music which is intended to remain for the final version. In this new version, you can change the controls if you wish in the options menu.